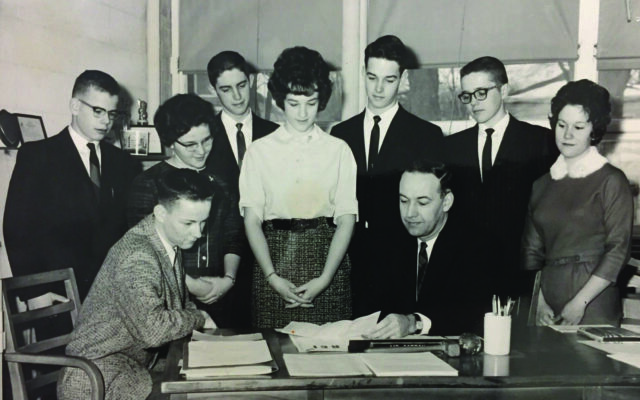 Former students of Ricker Classical Institute and Ricker College will converge on Houlton this coming weekend to participate in a celebration of the former school and its founding 170 years ago. HOULTON, Maine — Former students of Ricker Classical Institute and Ricker College will converge on Houlton this coming weekend to participate in a celebration of the former school and its founding 170 years ago. Ricker initially was known as Houlton Academy in 1848. In 1888, it became Ricker Classical Institute, named for Joseph Ricker, who was instrumental in supporting it financially. It continued to provide a secondary education to local residents, as well as being home to others from throughout the state until 1967. A junior college was added from 1929 to ‘49 and then it became a full four-year college until the closure in ‘78. The school encompassed an eight acre parcel of land, bordering the streets of Military, High, Heywood and Kelleran streets. The main classroom building, Wording Hall is now Ricker Plaza; the library now houses offices for the Department of Human Services; and East Hall, once home to the coffee shop, cafeteria and bookstore, is the home for Wesleyan Church staff members, classes and meetings. 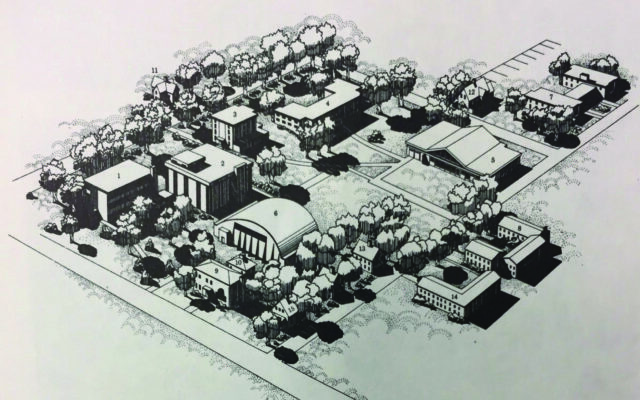 Putnam Gym was torn down to enlarge a parking lot and three dormitories on Kelleran Street were replaced with multi-family housing units. The dorms once housed students from throughout the state of Maine and other New England states, including New York, New Jersey and many foreign countries. Even though the campus is not quite the same, the returning alumni can’t wait to take a walk on the paths they frequented many years ago. September was the time they were marching through Market Square as freshmen wearing their Ricker beanies. They were fixing up their dorm rooms, joining clubs, fraternities and sororities. Many joined in the sports teams and soccer games that were played at Community Park. 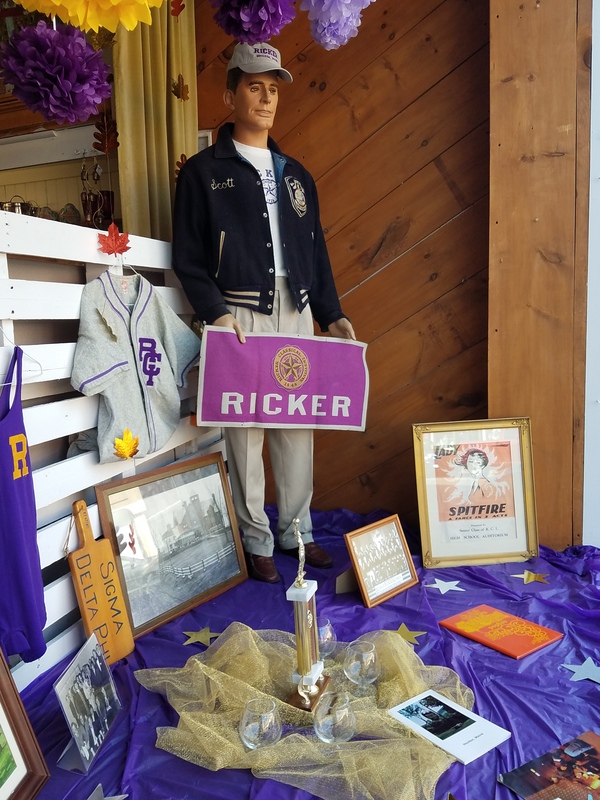 Ricker College memorabilia is on display at the Main Street Co-Op window where alumni will meet on Saturday, Sept. 8, for a morning coffee. The Ricker campus was a beehive of activity. There were concerts, theatre presentations and well-known guest speakers, including Maine Gov. James Longley, state senators, movie producer David Susskind, and TV news reporter Sam Donaldson to name a few. Some of the musical groups who graced the stage at Putnam Gym were: Orleans, Bruce Springsteen, Seals and Crofts, Livingston Taylor, Chad and Jeremy, Brooklyn Bridge, Rita Coolidge, Melanie, and many others who were just getting their start to stardom. Even though the school closed, Ricker continues to live on through those who experienced time there as young adults. Since the students left, they have settled all over the world and experienced a multitude of careers. This reunion will welcome many who have not returned in 40 years or more. About 120 guests are registered for the event, including former faculty members John Elliott, Woody Dunphy, Vic Vere, Joe Inman, Bill Turney and Gordon Cantiello. Cantiello was a very active Ricker Theatre director working with Kenney Glenn-Stewart. They both continued this interest professionally and will travel from Omaha, Nebraska, for the reunion. The Ricker theatre department often included local children and since Ricker’s closing, the community has maintained productions as Houlton’s Children’s Theatre and now Star Bright Theatre, celebrating 50 years this past spring. Another former student and Ricker Bulldog basketball and soccer player, Bill LaBarge from Dexter became a New York best-selling author, penning such books as: “Sweetwater Gunslinger 201,” along with “Hornets Nest,” “Road to Gold” and “Desert Voices.” Now a California resident, Lt. Commander LaBarge, U.S.N. retired, has served as technical director for movies: “Final Countdown,” “Top Gun,” “Firefox” and the TV series “JAG.” LaBarge has sent an autographed copy of “Lightning Strikes Twice” for a door prize. Since the closing of the school, endowment funds held by the Board of Trustees have been invested and the interest from those funds has been available for scholarships to benefit area students. Most scholarships are for $1,500 and renewable until the student receives his/her baccalaureate degree or completes the fourth year of a longer program and is in good standing. Four million dollars in endowment funds has been distributed since 1988, with $161,000 in 2017. Gary Bossie, a Ricker College alumnus, is the current administrator with a board of 15 members. Bossie replaced Hunter Cotton, who had been principal of Ricker Classical Institute and then held various positions at the college until its closing. Comments shared through the registrations include: “Ricker gave me a good start and I was fortunate to be able to do my graduate degree at New York University. I owe a lot to my education at Ricker,” said George Arees of Orlando, Florida. This well-known Robert Frost verse seems to embrace what Ricker meant to the many students who found their way to Houlton. To these former students who spent time at Ricker, this community and the friends they made have remained in their hearts for decades and this experience has made all the difference.